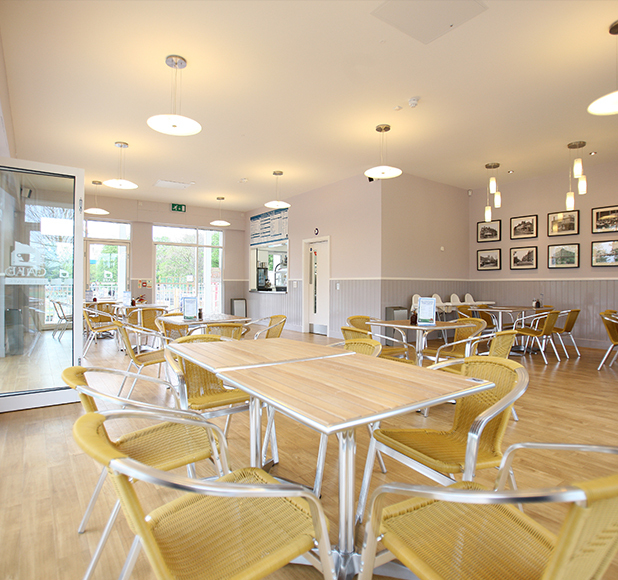 A 'Cafe in the Park' at the centre of the rejuvenation of Central Park, Dartford. 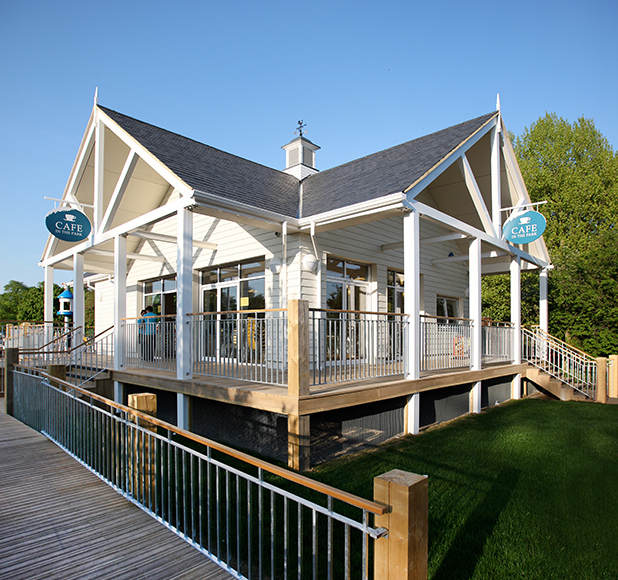 The Dartford Greenheart Visitors Centre in Central Park, forms the centre piece of the concept to restore the parks Edwardian heritage. 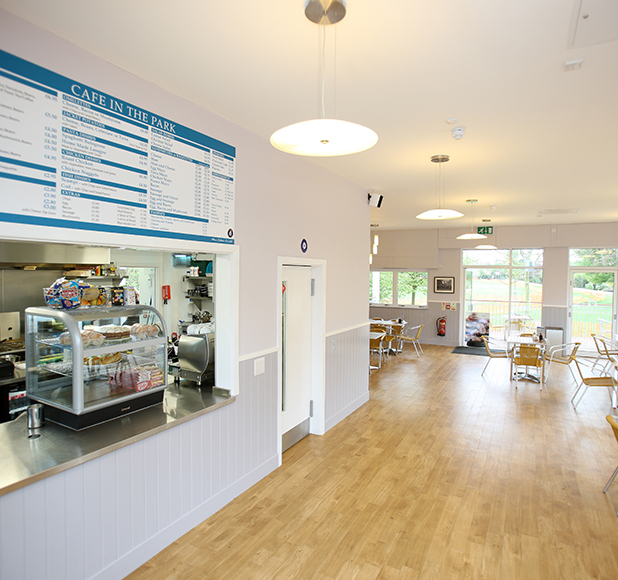 Bailey Partnership provided a full multi-disciplinary service, developing the original designs to accommodate a Visitor Centre / café, with panoramic views across the park towards the bandstand and over the water play area, a kitchen and stores, Park Keepers office, changing areas and toilets. The location of the centre within a floodplain meant the building had to be raised out of the ground. Advantage was made of this by providing a wide accessible decking around the building at different levels and with various points of access. A number of environmental credentials were designed into the scheme- air source heat pumps were utilised to feed the under floor heating assisted by solar thermal panels on the roof. The rainwater was harvested and linked to existing storage tanks that fed a children’s water play area, with a return pumped supply for urinal and toilet flushing. Natural solar passive lighting and ventilation was utilised with deep covered verandas, large shaded windows and a central passive stack vent incorporated within a dovecote tower.